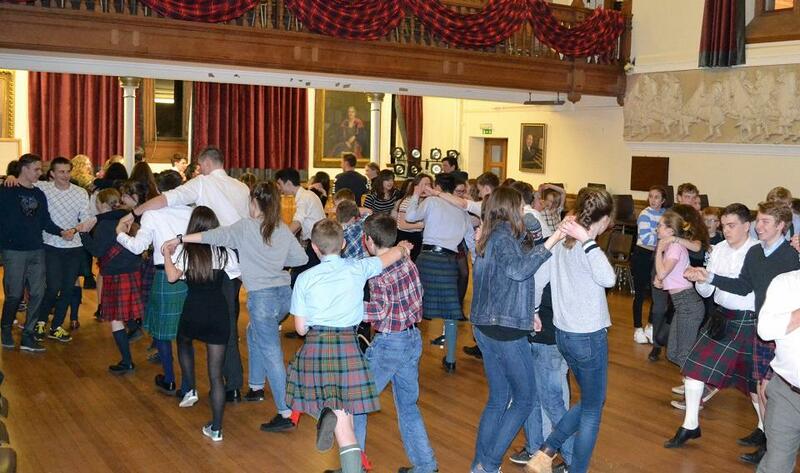 More than 80 pupils in Years 8 - 13 took to the floor in the School Hall on Friday, 25 January, for a few rounds of the Dashing White Sergeant to kick-start our Burns Night Ceilidh. Organised by one of the Year 12 tutor groups, with support from Mr Kitson, Miss Beck and Mr Barlow, it was certainly an evening to remember! Scottish country dancing was interspersed with readings, poems and music from our pipers and very own school ceilidh band. The 'Address to a Haggis' was delivered with great flair by Andrew and Kim (Year 12), and refreshments were served in the Sloyd, making for a brilliant Burns Night. Thank you to all the staff and pupils who were involved with organising and hosting the event! A total of £124.00 was raised for the RNLI.